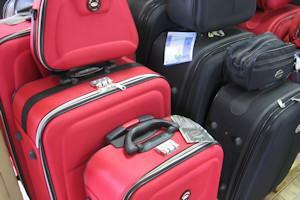 A porter loaded down with suitcases followed the couple to the airline check-in counter. As they approached the line, the husband glanced at the pile of luggage and said to the wife, "Why didn't you bring the piano, too?" "No, I really wish you had," he sighed. "I left the tickets on it."